Last week has been an absolutely wild week for anyone involved in cryptocurrencies, blockchains and related topics. I am convinced it will be considered a watershed moment for the industry due to the sheer magnitude of what has happened and what the follow-up will be. In short: due to a bug in the coding of the DAO, a hacker could siphon off about $ 60,000,000 worth of Ether, the native token of the Ethereum project. It’s a simple sentence, and if you just told this to someone in the street, he would most likely just gawk at you with a vacant stare, unable to take in the message. I myself still have difficulty, and going by the reactions from the communities, most of us can’t. Sixty million dollars! I am not even going to try to break that down into manageable chunks to wrap my mind around. 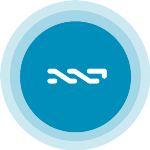 For me, with two and a half year in the Nxt community, the whole episode felt like a rerun of a problem our community had, namely the theft of 5% of the toal supply early in our development. We, too, had to come to terms with a third party messing up our system by sloppy security and were offered a forking choice. Luckily, our devs only offered the choice and then refrained from any comment on the matter. Why do I say “Luckily”. I answered that question almost two years ago in an interview about the issue which i just dug up.